Mission City Manager Martin Garza has announced his retirement after nearly 27 years with the city. Garza, whose last day will be Nov. 30, has managed the city since 2013, but his tenure began more than 20 years before that. His career in Mission began in 1991 as a reserve officer in the police department. He worked his way up, serving as an investigator, coordinator of the Mission Crime Stoppers, the police department’s public information officer, and also worked within the special crimes unit and internal affairs. Garza was named assistant police chief after the creation of a second assistant chief position in December 2008. Then in January 2012, after the retirement of Chief Leo Longoria, Garza was appointed interim police chief. He was officially sworn in as the new police chief in April 2012. 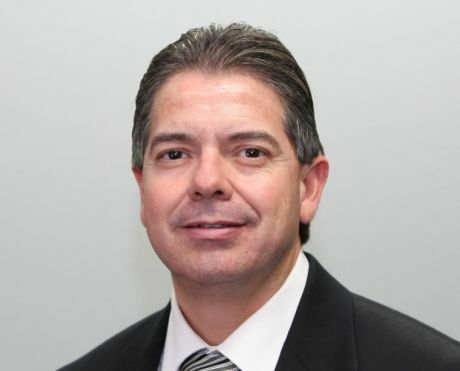 Less than a year later, Garza was appointed interim city manager in March 2013 following the exit of then-City Manager Julio Cerda. In August of that year, Garza was officially approved as the official city manager. A six-year contract extension was approved in 2016, raising his salary to $225,000 annually, up from $186,500. The naming of an interim city manager is still pending. Garza’s departure will round out a year of upheaval for the city, the most notable being the defeat of longtime Mayor Norberto “Beto” Salinas in the June mayoral runoff elections. The results of that election were voided by a trial court, but the case is currently on appeal. Salinas said he was “pissed off” over Garza’s announcement. “He should have waited for us to have the election or give us 90 days,” Salinas said Friday. Current Mayor Armando O’Caña said he worked well with Garza and said he was shocked when he submitted his resignation Thursday afternoon. When asked if he had thought to ask Garza to stay on a bit longer, O’Caña said the council would be discussing the issue of his contract in executive session during the next city council meeting but that was all he could say at the moment. Councilmember Jessica Ortega-Ochoa said she had mixed feelings about Garza’s departure but wished him well. She said she had great respect for him and understood that as a public servant, who had to attend various city events and be available at all hours, it could be hard on families. As for what Garza’s departure would mean for the city of Mission, O’Caña said it was a big loss, a sentiment shared by Salinas.